Confession time. I’ve probably been saying “Gruner Veltliner” wrong or with a tragic American affectation for years. So what?!? I know how to drink it. But this signature (white) wine grape of Austria is much more complex than my simplistic pronunciation of it. It can be light and racy, perfect poured liberally from a one-liter chug-a-lug jug sealed with a bottle cap into a waiting tumbler. 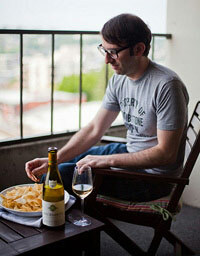 It can also be long-lived, rich, and complex, smoking fancy Burgundy and other pedigreed Chardonnays in blind tastings. One thing I do know about Gruner Veltliner. I hesitate to call it “Gru Ve”, which I hear people are doing. Not so groovy, man. (I, however, like “Gruner”.) And what’s this about Sauvignon Blanc being shortened to “Savvy B”? Well, this does make me think of old-school rap. Like Heavy D. Or Schoolly D. Which is not a bad thing. Vegans and Paleo-y Folks United By Austrian Riesling. ENOUGH WITH ASPARAGUS BEING “CHALLENGING” TO PAIR. Roter Veltliner. Because One Veltliner Is Never Enough. Get Wine Without Worry on iTunes. 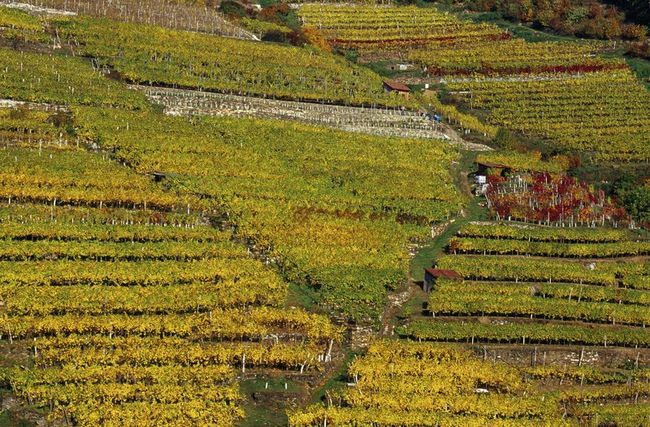 Top image of terraced vineyards in the Wachau: © AWMB / Gregor Semrad.